The Ruggles House in Columbia Falls, is one of Maine’s most beautiful historic homes. Built in the 1820’s it is a small but elegant example of Federal Style architecture. 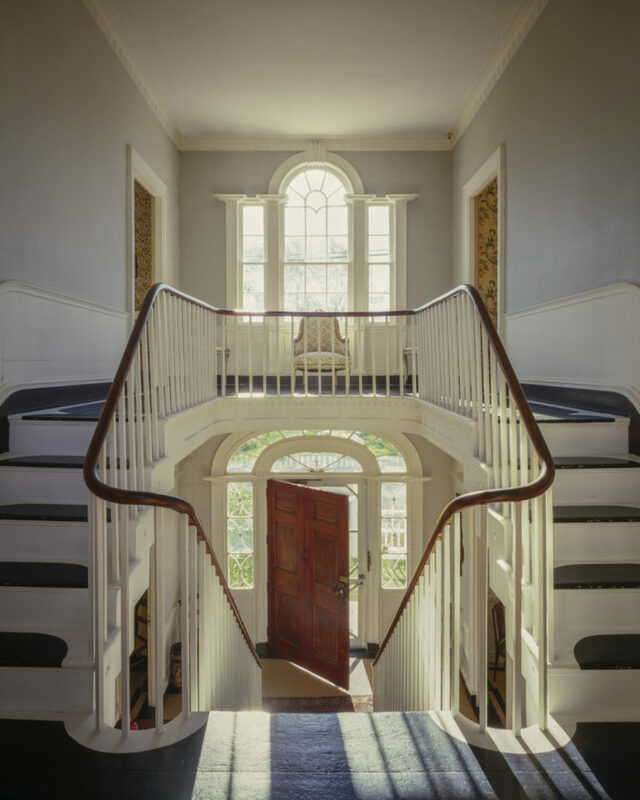 The flying staircase in the center of the house commands attention upon entering and is indicative of the craftsmanship that is evident throughout the house. Paneled walls, carved fireplace surrounds, delicately detailed trimwork around doors and windows set this house apart. The level of craftsmanship is surprising for such a small house in such a remote part of the country, but the owner wanted something special and he got it. His builder, Aaron Sherman, put as much detailing into the house as he could and the house remains today one of the state’s most important architectural treasures.